Terrace seating is available only at 19:00 hrs. and 21:30 hrs. Minimum spend of AED300 per person will be applicable for Terrace seating. Food was unbelievable, shame about the service. View was lovely as we sat outside but they did ask for a minimum spend which wasn't necessary. Absolutely loved it here, my husband and I came here to celebrate our first year anniversary. 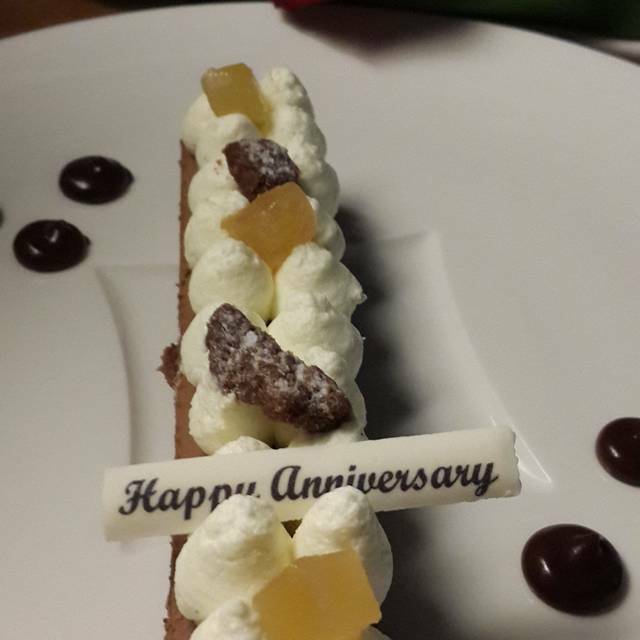 The restaurant suprised me with a beautiful rose and a anniversary cake which was really nice. The food was absolutely delicious too. Outstanding food and the view is amazing from the outside deck. Amazing location , must be seated near the window to enjoy full surroundings and fountain show. Minimum spend 300 AED per person but don’t worry they will remind you. 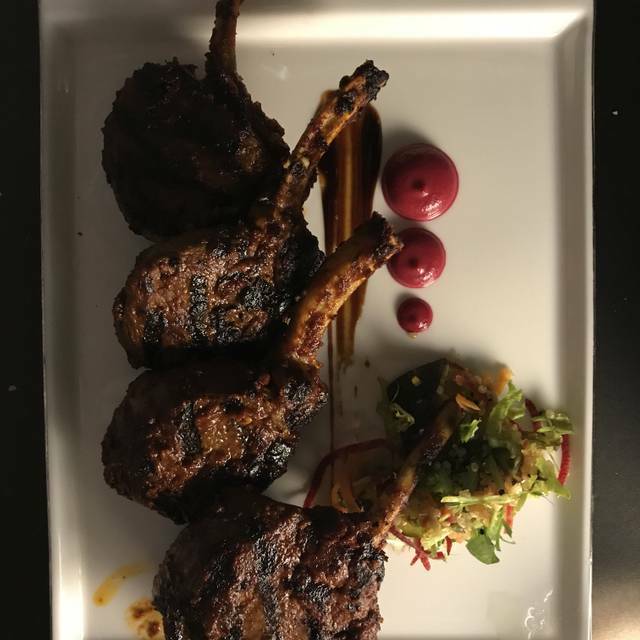 Very expensive for example lamb chops 180AED for four pieces but amazing they were. Must do it once to tick off your bucket list. Great food! Excellent ambiance and venue! Amazing Indian food with wonderful view if you sit on the terras. Sitting on the terrace made it particularly special. Highly attentive staff, without being overbearing. Great food, and we were brought a cake as it was a birthday celebration. Highly recommend. Probably the best food I’ve ever eaten & I’ve been to some beautiful restaurants but by far this is was the best!! Definitely made one if my highlights in Dubai..
A lovely restaurant to go to, especially if you can eat outside when it not too hot or humid. First of all this restaurant is situated in the tallest and most famous building. To visit this restaurant is a good opportunity to look at Burj Khalifa from the inside. You need to enter through Armani Hotel (splendid hotel, next time will definitely stay there). 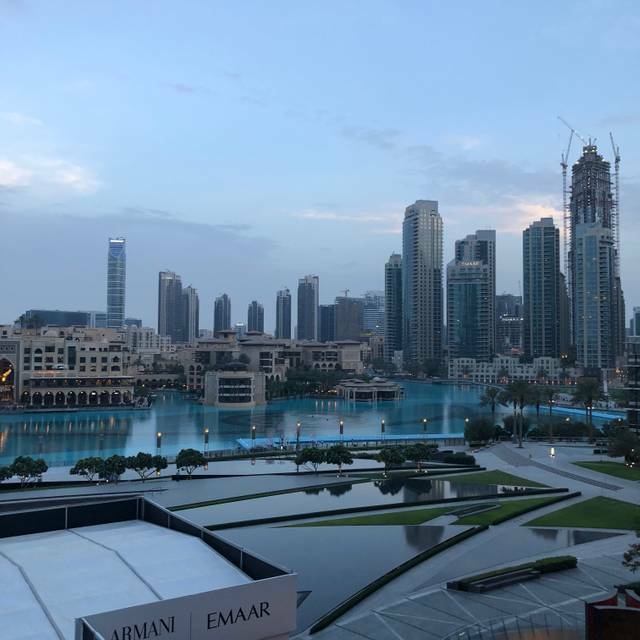 The restaurant is on the 3d floor - good for those who don't like heights and for those who like views cause you can enjoy the fountain shows every 30 minutes from the terrace of the restaurant and views on the Dubai city. 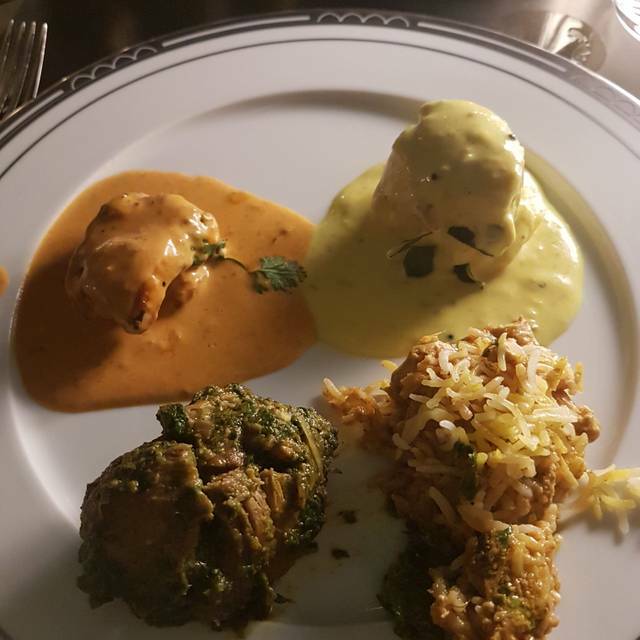 The cuisine is mainly Indian, but it's possible to find food from other cuisines. Very tasty, good service, reasonable prices. My husband does not Indian food. He reluctantly agreed to try the saffron menu, and that was the beginning of everything. He is converted. this attention to detail, tastes, flavours, everything was absolutely divine. Excellent service, views, and food!! We had some great cocktails especially the mojitos. I thought that the portions were very generous, you could share dishes as we left alot of food. Great Service (Amil), great food, great location and great view. In summary it was great! 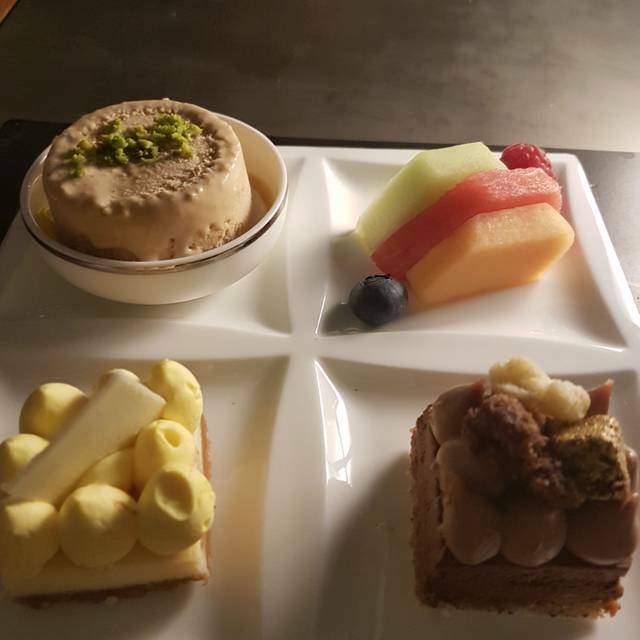 We always try to have dinner at Armani Amal when we are in Dubai. Enjoying the food on the terrace while the fountains doing there thing. The food is great. We prefer A la carte, because the tasting menu is a lot. Lots of choice between vegetarian, seafood or fish. All great! Not a dinner but an amazing experience in Dubai. Food, lights and sounds to introduce the famous fontain show with a privileged view. Very romantic place for a special day. Indian food with Italian touch delicious. We chose chef menù as suggested by staff. I recommend Armani Amaml to all people who visit Dubai. Great restaurant with nice view on the fountains show. Very good food (except desserts). Good service. 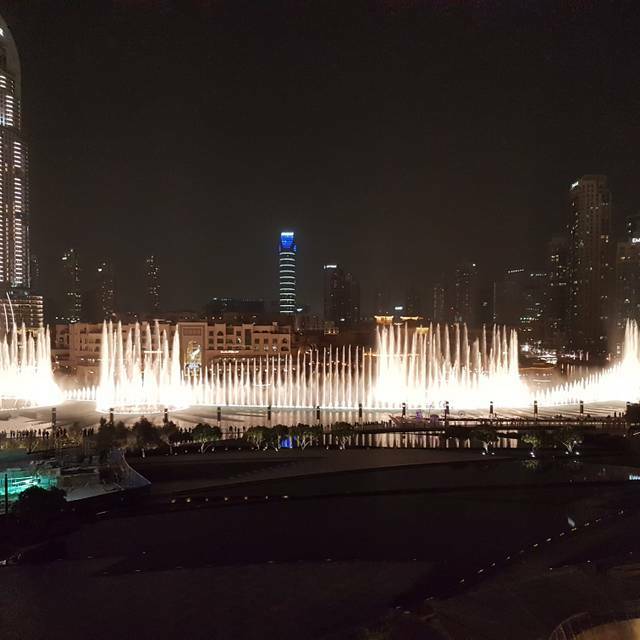 Expensive for the value you get, but very nice view on the Dubai fountains! Very good food. Outside terrace is recommended then you can view the fountain show every 30 min. Excellent service and ambience. The saffron meny is huge, lot of small dishes but totally very nice food. Good if you’re hungry. 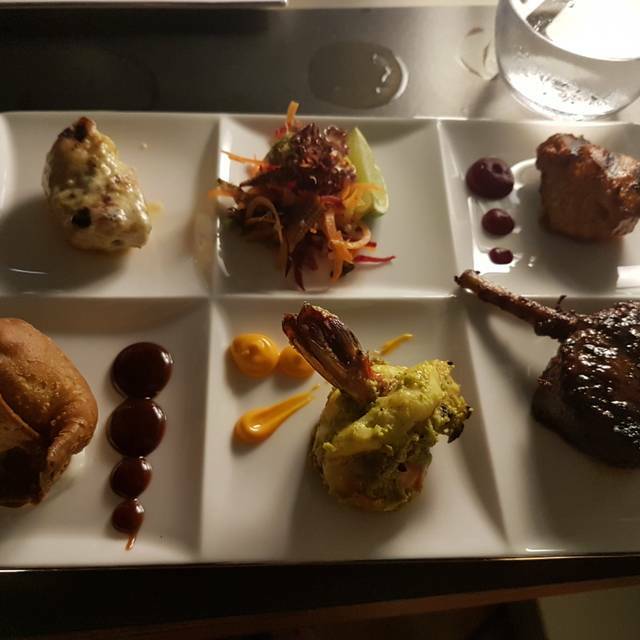 We had the saffron set menu, and every single item was delicious, the best we have tasted. Sat on the balcony, and watched many fountain shows, all spectacular as ever, nice viewing them from a different angle. Absolutely stunning view. Enjoy the terrace view. Delicious food. The tapas were excellent. Fine collection of wines. Very very warm and friendly staff. Special mention of Abhishek and Prabhu for making our anniversary very special. Overall an outstanding experience. Will definitely come again and recommend friends too. We celebrated our 40th anniversary. This place is awesome! Staff is terrific. Very professional and accommodating. We are vegetarian and Amal had very authentic & delicious vegetarian menu. Worth every penny. Such a great find!! Beautiful restaurant - Food was lovely, the service was perfect so helpful and professional. We requested a terrace table so you we could see the fountains show! Amazing! 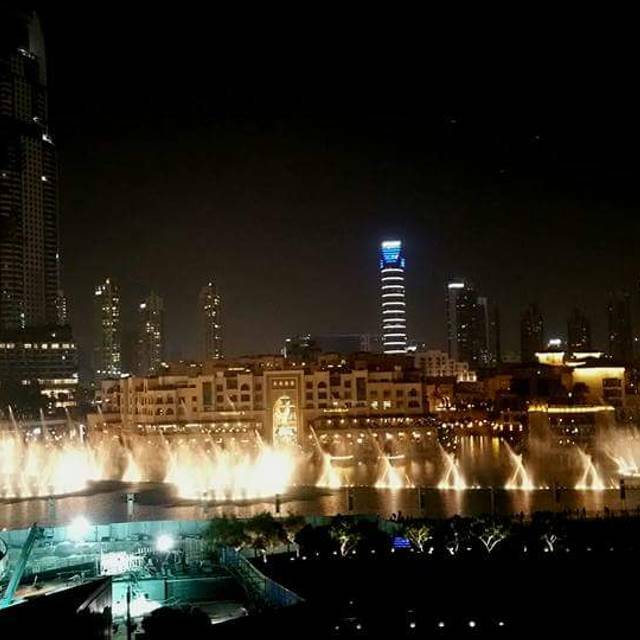 Great view of the Dubai Fountains. 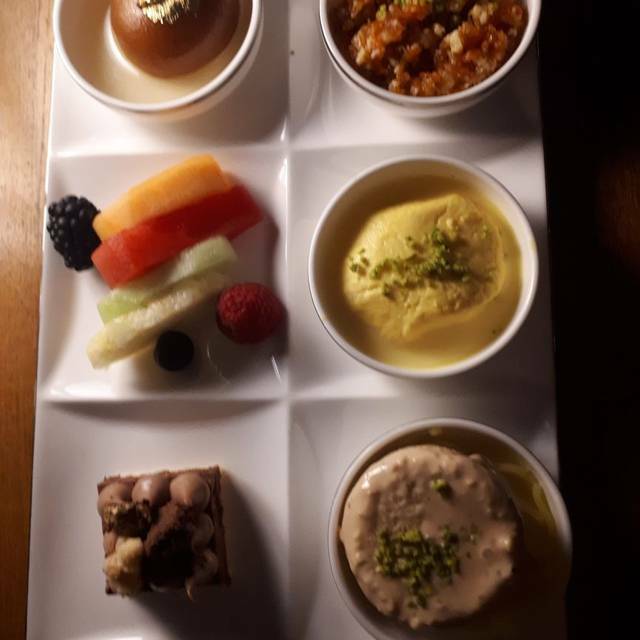 We tried the Anise Set Menu and it was great to hear we could alter them to fit our picky guest's tastes! Drinks were great, staff were super friendly and helpful. Would recommend as a must for anyone visiting Dubai. Request a terrace table so you can see the water/light show! Food was delicious, good price and the view from the balcony to the water fountain is breathtaking. Will come back for sure! Food is great, Dubai Fountains view from Terrace is fantastic!! Very nice experience! Dinner was very good and the sight in front Dubai waterfall was amazing! One of the best meals I've had anywhere in the world. Top 5, easily. Put me in the mood for Indian food once a week since, and nothing else compares.